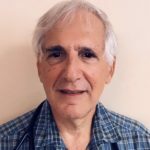 Dr. Gerald Steinberg has been practicing sub-acute and long-term care for over 30 years and is currently a provider with Pioneer Valley Continuing Care. This practice follows a team-oriented approach with a staff that consists of physicians, nurse practitioners, and physician’s assistants. The medical group has courtesy privileges at both Baystate Medical and Mercy Medical Centers in Springfield, Ma. In addition to being a treating clinician here at Willimansett Center, he is also our facility Medical Director.